Download the Easy Tithe app for your Android or iPhone and easily give from your phone each time. 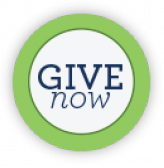 Click Here or the Green Give Now button to give online. Do you need to give to a church? iWantToGive.com is the online giving portal for The Ark of Salvation in Atlanta GA. Many have the desire to give to a church but do not regularly attend any church. iWantToGive.com is the answer. Easy phone app or online giving make giving as easy as a few clicks.